Finn and Bergen O'Neill, Fletcher Giuliana and Morne Combrinck are joining the School Strike for Climate in Brisbane. THREE Sandgate siblings and some of their mates are taking part in the School Strike for Climate in Brisbane this afternoon. 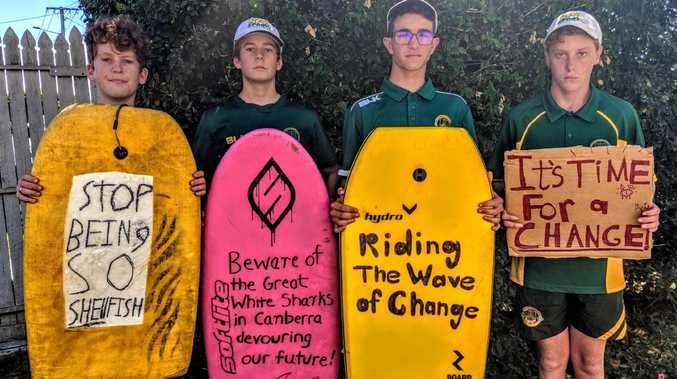 Bergen, Finn and Jocelyn O'Neill, and Bergen's classmates Fletcher Giuliana and Morne Combrinck will join other local students and their families travelling to the city for a 1pm march from Queens Gardens Park to Parliament House. After the march there will be letter writing and social media action, speeches from students and a call to action. Here the siblings and their friends explain why they decided to become involved. 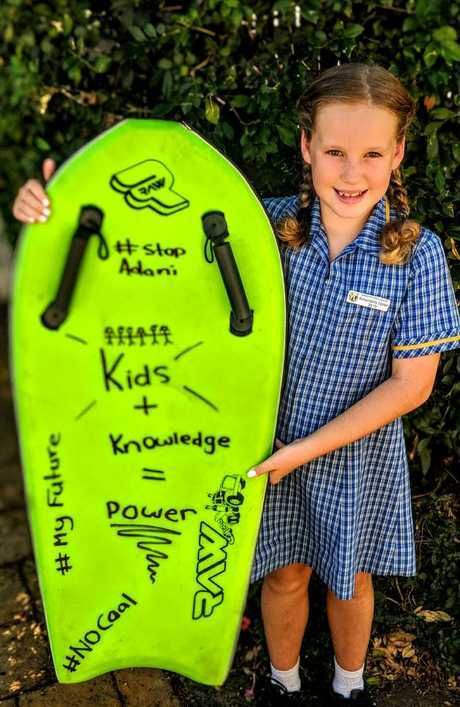 Jocelyn O'Neill of Sandgate is joining her siblings at the Brisbane School Strike for Climate. I am the sustainability captain this year at my school. In fact I am the first sustainability captain ever at my school. And as the sustainability captain I would like to see a difference in the way we are treating our world which is why I am going to the school strike. I would like to see our world become sustainable. I want to stop climate change as I want to have a future that doesn't include polluted air and water. I don't want to have Australia's coat of arms with one of the animals on it being extinct. I want to be able to see the Great Barrier Reef one day. I don't want Adani or any other coal mine that might get a few jobs but lose just as many or more. We need to step up and change before we run out of time. We are attending the strike today in hope that one day this event will be able to create a domino effect in our battle for a cleaner future. By being active in this strike, we hope that politicians and anyone who possess power understands that we are the ones with the future and have to live with the consequences of their failure. They need to take us seriously and aid us to change the world for the better. Climate change is a clear issue supported by strong evidence, and politicians need to stop procrastinating, and start making productive decisions about the topic. New coal mines such as Adani have no place in Australia.